Kirsten Fermaglich is Associate Professor of History at MSU. Her book on American social scientists and Holocaust metaphors, "American Dreams and Nazi Nightmares: Early Holocaust Consciousness and Liberal America," 1957-1965, appeared in 2006. She most recently published a history of Jews and name-changing in the 20th century titled "A Rosenberg by Any Other Name." She is also co-editor (with Lisa Fine) of the Norton Critical Edition of Betty Friedan’s "The Feminine Mystique" (2013). She has published in American Jewish History, the Michigan Historical Review, Southern Jewish History, and several edited collections. Kirsten has won fellowships and grants from YIVO, the Posen Foundation, and the Association for Jewish Studies. A Legacy Heritage grant supported a year of programming at MSU 2011-2012 on the theme “Telling Family Stories: Jews, Genealogy & History.” Kirsten also co-curated (with Ken Waltzer) a 2002-2003 MSU museum exhibit, “Uneasy Years: Michigan Jewry During Depression and War,” that was recognized by the Michigan Council for the Humanities as among the top 30 projects the Council supported in thirty years. 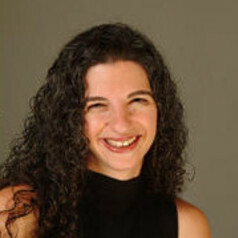 Kristen Fermaglich is co-editor of "American Jewish History" published by Johns Hopkins University Press.